Yeah, it’s feeling like New Music Friday, Saturday, Sunday, pick a day. I don’t really give a damn so let’s just call it New Music McDuffDay. 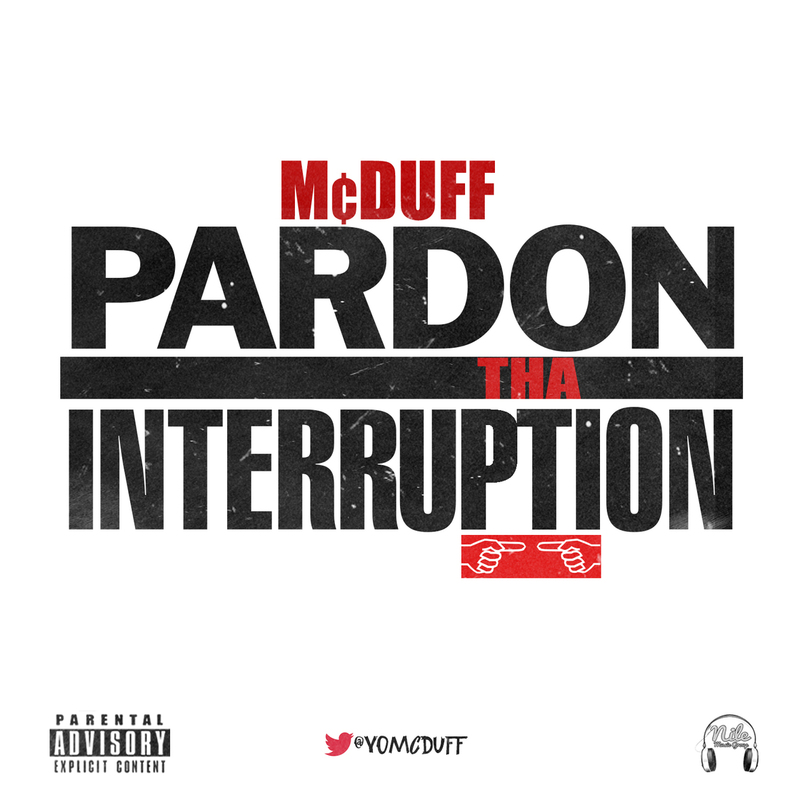 Nile Music Group artist, McDuff just released a solid 5 track EP entitled “Pardon Tha Interruption” and he’s reminding fans (especially this fan) why we fell in love with this Dallas emcee in the first place. “No Love”, “Friday”, and the classic “Dreams” are my favorites but all 5 tracks are musically pleasing to all hip hop heads. Love McDuff and his music NOW and enjoy!